Let us help you plan your trip! We love supporting local businesses in the Pikes Peak region while giving you suggestions all in one fell swoop. These companies provide high quality service and awesome adventures. Give them a try, and you’re sure to have great fun and great stories to take back home. Plan a white-water excursion with Echo Canyon. From family-friendly (min. age of 4-5 years old) floats to adrenaline filled half- or full-day trips, they have what you want and the experience you need to get in the water, and earn your rafting stripes. 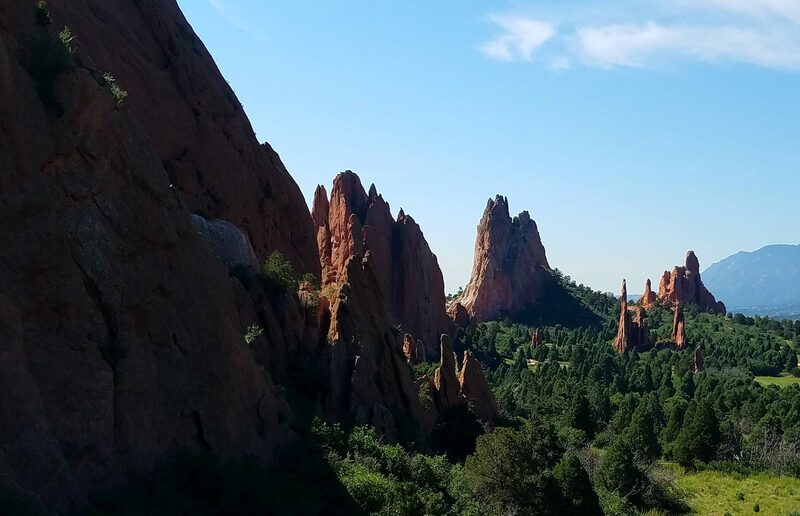 Take on the Arkansas River through the Royal Gorge in the Pikes Peak region, or set off near Breckenridge, Buena Vista and surrounding areas for trips catered to you. Personal Recommendation: We tried a half-day trip down the Royal Gorge in Canon City, and we can’t wait to go again. Read about our experience with Echo Canyon here. Drive to the top–all 14,110 feet. Then grab a bike, and let ‘er rip! Pikes Peak Bike Tours offers mountain bike tours around Colorado Springs, and most notably, down Pikes Peak. Tours are great for all skill levels, and no equipment is necessary. They provide the bikes, the helmets and the guides for the tours. The Pikes Peak tour starts in Old Colorado City at their shop, the crew drives you to the top, and guides you down at speeds approaching 25 miles per hour. Experience the Pikes Peak Highway in a whole new way as the wind rushes past. Other tours include popular hiking and biking trails, family tours, and even night riding. Personal Recommendation: We tried the Pikes Peak tour and were amazed by the service and amazingly fun guides. Not to mention the view and the thrill of riding down the mountain. Read about our experience with Pikes Peak Bike Tours here.